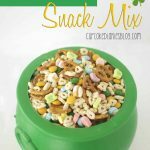 My mom and twin sister were in town this weekend and we decided to make a bunch of St. Patrick’s Day goodies! 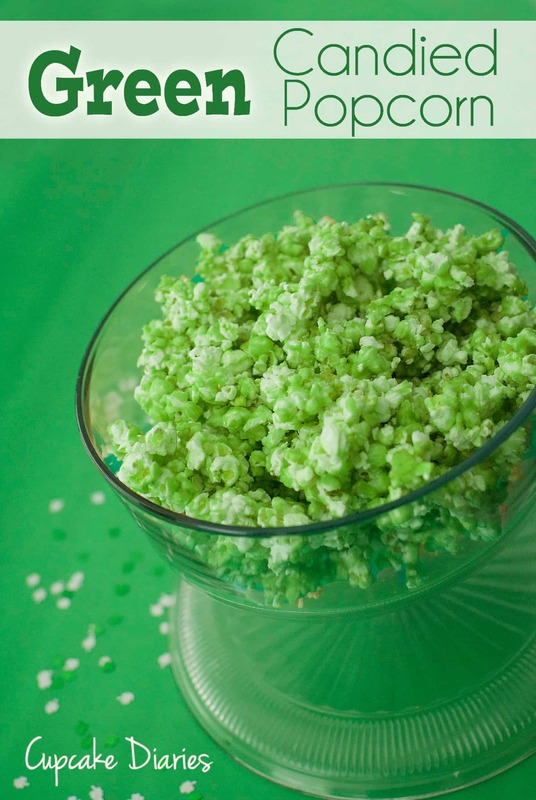 We’ve always wanted to try candied popcorn, so we whipped up a batch and made it green. I love how it turned out, in flavor and color! 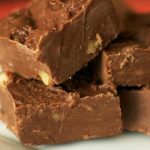 This is a great recipe to use for all kinds of holidays. So many color options! Once mixture boils, add in food coloring and stop stirring. Allow it to boil for 5 minutes without stirring. Remove from heat and carefully stir in vanilla and baking soda. Working quickly and while sugar is foamy, pour mixture over popped corn and gently stir to coat it. Place popcorn in a large roaster or rimmed baking sheet lined with parchment paper or sprayed with cooking spray. Bake at 200 degrees for 1 hour, stirring every 15 minutes. I am such a sucker for popcorn! Me too!! I love it so much! 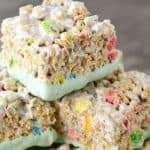 I really want to make this for my son’s birthday party but I do not have time to run to the store. I have everything needed in house except cream of tartar, which is optional, and all of the microwave popcorn that I have is buttery blasted or kettle corn. Can I use the microwave buttery stuff (or microwave kettle corn) instead of light butter?? Please respond asap. Party is tomorrow, St. Patrick’s Day!! Thank so much!! Yes, that will work great!! Enjoy!